Are you wondering what to wear with a pleated skirt? Maybe you have one that’s been sitting in your closet, lonely and not worn because you just weren’t exactly sure what to pair it with. Let me help! A pleated skirt is a classic skirt style that continues to pop up in fashion magazines and on celebrities who are out and about. 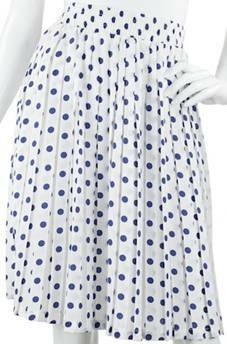 If you’re looking for a splurge on a pleated skirt, let me share with you a gorgeous chiffon pleated skirt by Courage. 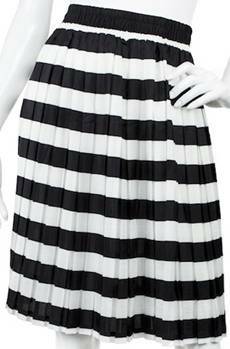 b called the Desy Pleated Skirt. Like I said, it’s a splurge for $155, but check out these gorgeous designs. Beautiful aren’t they? Is there a style that caught your eye? I am loving the coral polka dotted design. I also love the black pleated skirt, which is a definite classic. 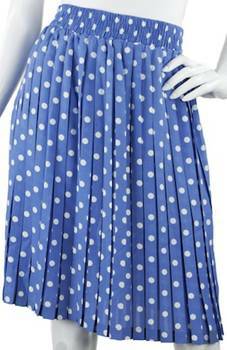 Now, about what to wear with a pleated skirt. In the photo above you see the model wearing a short sleeve shirt with a wide belt. This is a great look and one that can be easily pulled together. Here’s another look. Pair a pleated skirt with a cami and cardigan. Add some ballet flats and you have a beautiful outfit. 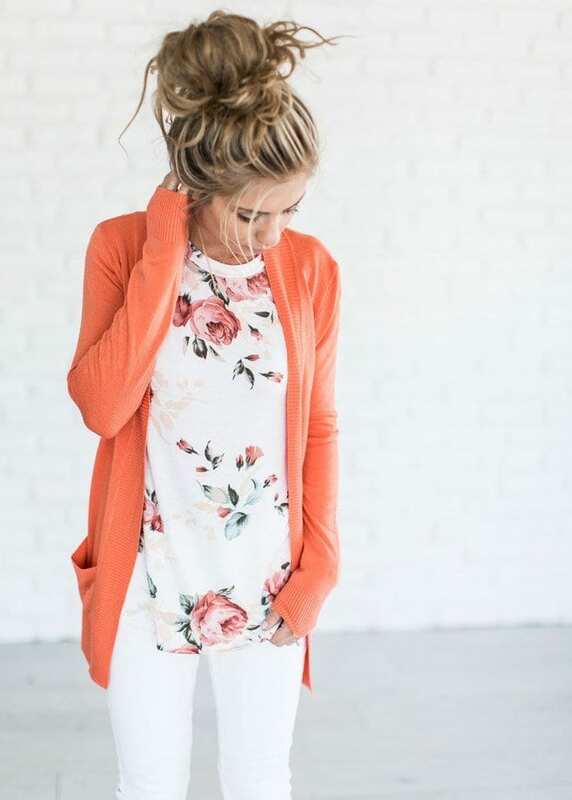 I think the cardigan and floral shirt pictured below would look so pretty with a white pleated skirt. Here are a few more ideas for what to wear with a pleated skirt. A pleated skirt is so versatile and can be worn with so many different things. If you’ve never tried wearing a pleated skirt, go for it! It might just become a favorite piece in your closet.